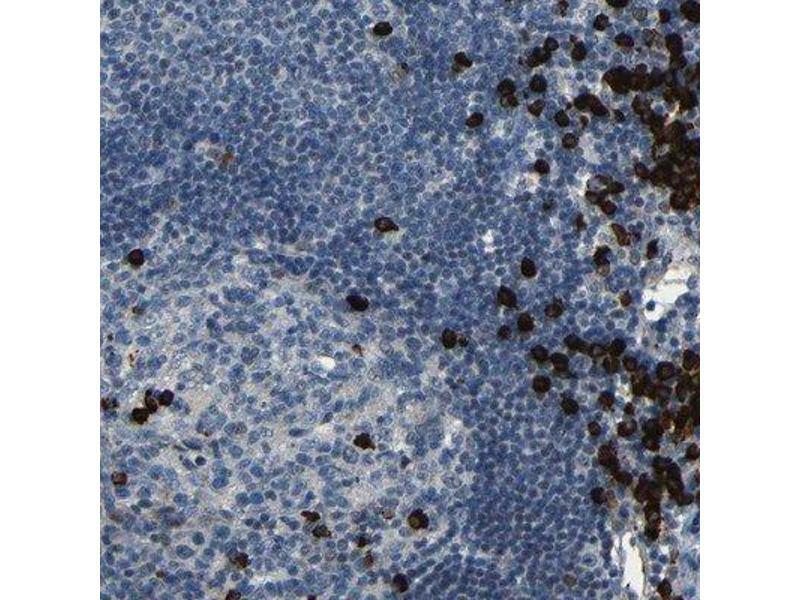 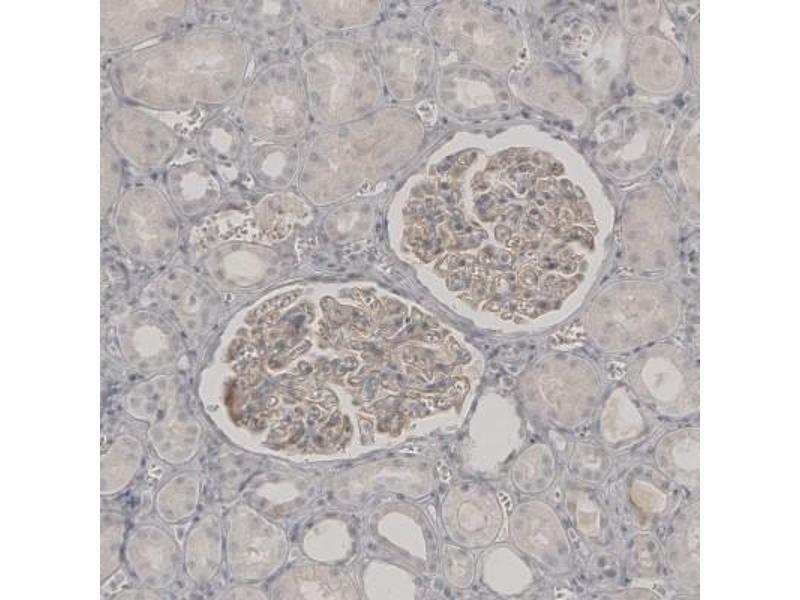 Immunohistochemistry-Paraffin: PLA2R1 Antibody [NBP1-84449] - Staining of human lymph node shows strong cytoplasmic positivity in a subset of cells. 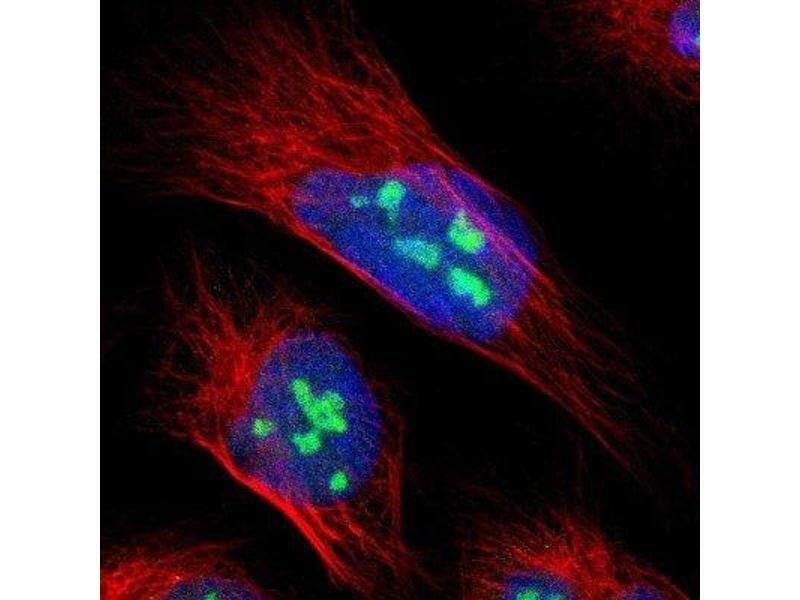 Immunocytochemistry/Immunofluorescence: PLA2R1 Antibody [NBP1-84449] - Staining of human cell line U-2 OS shows positivity in nucleoli. 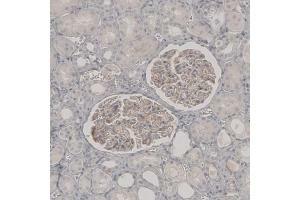 Immunohistochemistry-Paraffin: PLA2R1 Antibody - Staining of human kidney shows weak membranous positivity in cells in glomeruli. 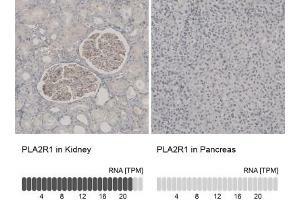 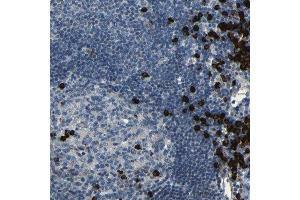 Immunohistochemistry-Paraffin: PLA2R1 Antibody - Staining in human kidney and pancreas tissues . 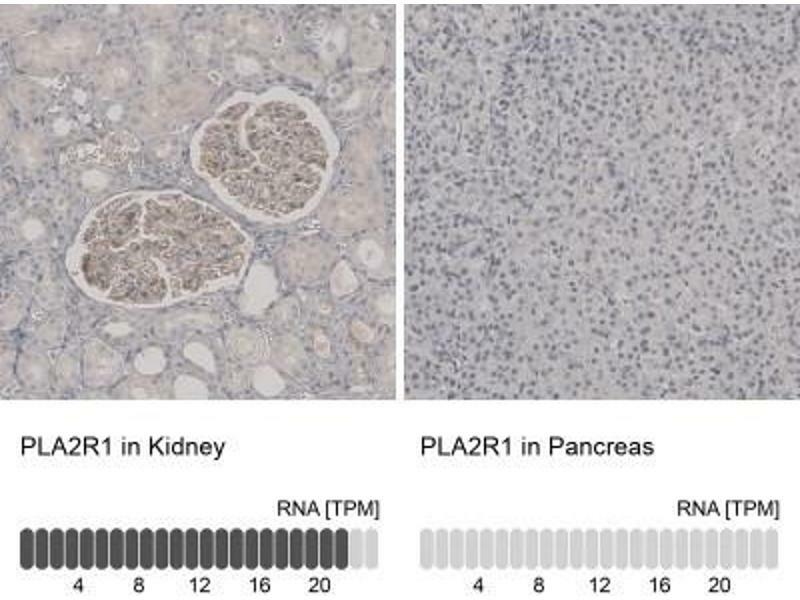 Corresponding PLA2R1 RNA-seq data are presented for the same tissues. 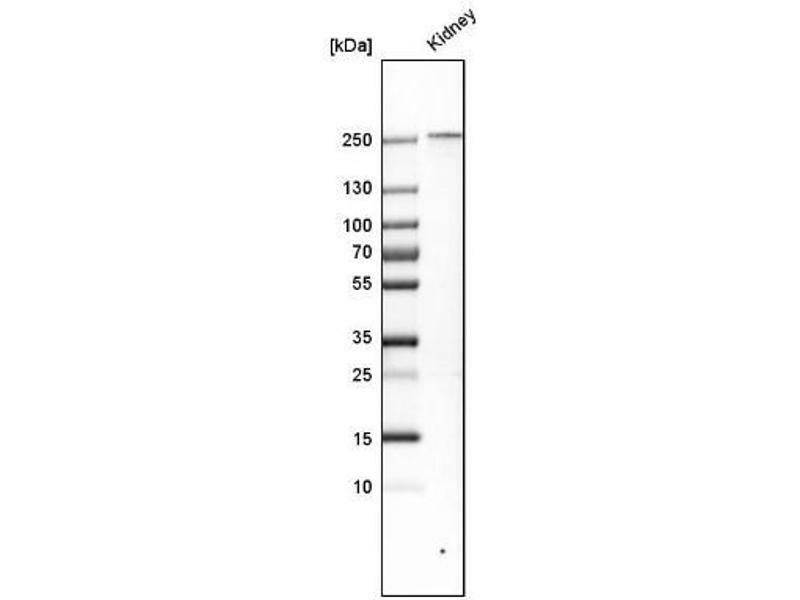 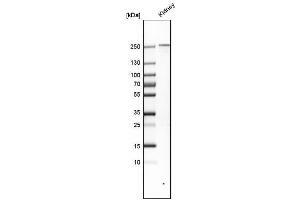 Western Blot: PLA2R1 Antibody - Analysis in human kidney tissue.